Being that its July, we are over halfway through the year and I’ve been to over 30 bars. While that is a pretty good accomplishment it’s still pretty far off the pace that I need to be on to complete all of Hoboken’s bars by the end of the year. So far I have been pretty impressed with a bunch of Hoboken’s newer additions. 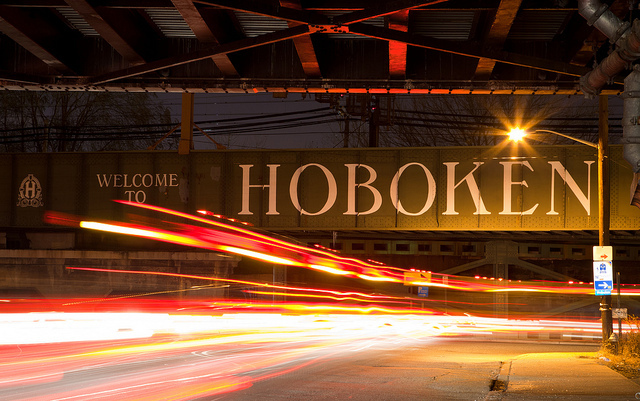 I would think that it would be tough to elbow your way into Hoboken’s saturated bar scene, but bars like Wicked Wolf, 1-Republik, Village Pourhouse, The Turtle Club and Clinton Social all have succeeded in putting together some of the best bar experiences in Hoboken. All of these bars took over from existing bars and spent a lot of money remodeling the space. And it seemed to work for all of them. Being that I am trying to go to as many bars as I can, I have found that a lot of times the convenient time for me is not always the popular time for a bar so I have spent more than my fair share of nights being one of only a few people at some of the more “popular” Hoboken bars. Looking at the list of places I have left to go, it seems that there are a whole lot of the dancier (I think I made that word up) places left to go. I guess I have been avoiding them just because that really isn’t the scene that I am most comfortable with. But if I want to complete my challenge I am going to have to go and get them done. McCarthey’s Pub – It was located next to the police station (maybe not the best place for a bar) and only lasted a couple years. It was close to the PATH but not really on the normal walking path home making it a forgotten bar. I was really looking forward to their hand-shuffleboard table. That may be my favorite bar game, and unfortunately I don’t think there is any other place in Hoboken that has one. The Cage – It was Hoboken’s only gay bar, and despite being straight, I liked the fact that Hoboken did have a place to go that was comfortable for those who may be of that persuasion. Being a city of over 50,000 I would think there would be enough business to sustain the place but maybe being just minutes on a PATH ride to The Village and Chelsea I guess they faced some cross-river competition. I believe the space is going to be added to Lana Lounge and I imagine the owner is going to get a pretty penny for the liquor license so it was probably a good business decision, but a sad day for Hoboken’s culture to not even have one gay bar. Also to be noted, Arthur’s Tavern, the historic red and white checkered tablecloth bar/burger/steak place was recently sold to the owner of Teak and Lana Lounge. After initial erroneous reports that stated that the place was going to be closed and “re-imagined”, the new owner has come out and said that Arthur’s will remain open, but will undergo slight renovations. And lastly, one of my favorite places Lua, is still MIA as Hudson County has still not replaced the sinkhole in front of the restaurant/bar. I don’t know if they even plan on reopening after the construction, but here’s hoping they do.